Right here in Central Florida, Orlando has the property you’re looking for that suits your personal preference or accommodates your family. Rental Home Management Services, Inc. saves you effort and time by helping you find the right landlord and the right rental property. Our goal is to make Orlando rental management as convenient and efficient as possible, and that shows through our commitment to meeting and exceeding the expectations of our tenants. 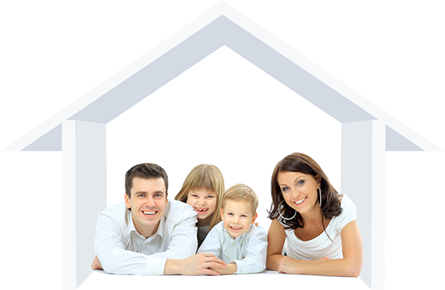 Rental Home Management Services, Inc. works to cater to the needs of our tenants seven days a week. This includes keeping our offices open weekdays and even Saturdays. We offer long-term leases on our properties in Orlando, which means you can rent 12 months or longer if you need to. These properties also range from single-family homes to condominiums; any property style you need to rent. 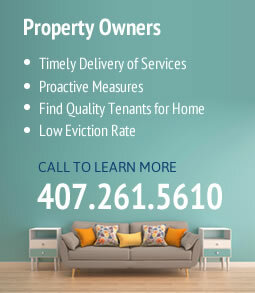 If you’re in the market to rent your home to tenants in Orlando and don’t have the means of doing so, Rental Home Management Services, Inc. can actively manage your property. We make sure your property is well maintained and serviced so you don’t have to spend a minute of personal time with its upkeep. We make sure of this by providing upfront and effective communication. Our main focus for our property owners is occupancy. We make sure your property doesn’t remain idle-we work hard to ensure we find quality tenants and begin generate you a cash flow. Our eviction rates are among the lowest in the industry, so you can rest assured your property in Orlando will remain a viable and consistent asset. If you’d like to learn more about our services in Orlando, contact us today. Give us a call at 407-261-5610.